Please Note: The ratings in charts, variety characteristics and management tips are to be used as guidelines only. The limitations of warranty and liability on each bag of seed are part of the terms of sale. Weather and field conditions may vary from area to area. Terms of Sale: The following provisions are part of the terms of sale. Buyer intends to purchase seed solely for producing a grain or forage crop, and that the seed, or any product from the seed, shall not be resold or used as seed. Buyer agrees that purchase of this seed does not give any rights to use the seed for research purposes. Buyer acknowledges that failure to adhere to this provision would substantially damage the supplier/developer who has a substantial investment in this seed product. 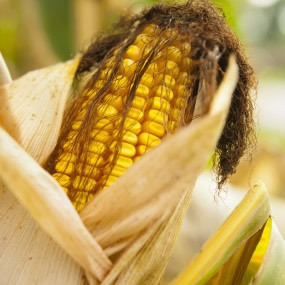 Management Requirements: For Traited corn, growers should refer to the trait providers Technology Use Guide for information on crop stewardship regarding the potential movement of pollen to neighboring crops. Know Before You Grow® is a registered service mark of National Corn Growers Association. For more information call 1-866-SELL-CORN or contact 1st Choice Seeds at 1-888-715-6613. Limitations of Warranty and Remedy: Ratings and related description given on this piece are derived from field trials during past growing seasons. Crop yields and quality are influenced by many conditions beyond the Company’s control and therefore cannot be warranted by either the Company nor the distributor or dealer. Denzler Seeds, Inc.; 1st Choice Seeds warrants that the seeds are as described on the tag attached to the bag, subject to tolerances established by law. THE FOREGOING EXPRESS WARRANTY EXCLUDES ALL OTHER WARRANTIES EXPRESS OR IMPLIED INCLUDING THE WARRANTY OF MERCHANTABILITY AND OF FITNESS FOR A PARTICULAR PURPOSE. THERE ARE NO WARRANTIES WHICH EXTEND BEYOND THE DESCRIPTION THEREON. By acceptance and use of any seed purchased from the Company, Buyer agrees that the Company’s exclusive liability and the Buyer’s exclusive remedy for any claim whether as to products delivered or for non- delivery of products, shall be limited in all events to a return of the purchase price of the seed. In no case shall the Company be liable for consequential, incidental, special or indirect damages resulting from the use or handling of the seed. Crop yields and quality are due to so many causes and conditions beyond the Company’s control that neither the Company nor the distributor or the dealer can warrant yield or quality. Performance may vary from location to location and from year to year, as local growing, soil and weather conditions may vary. Growers should evaluate data from multiple locations and years whenever possible. Roundup Technology® includes Monsanto’s glyphosate-based herbicide technologies. ALWAYS READ AND FOLLOW PESTICIDE LABEL DIRECTIONS. Roundup Ready® crops contain genes that confer tolerance to glyphosate, the active ingredient in Roundup® brand agricultural herbicides. Roundup® brand agricultural herbicides will kill crops that are not tolerant to glyphosate. Acceleron and Design®, Genuity and Design®, Genuity Icons, Genuity®, RIB Complete and Design®, RIB Complete®, Roundup PowerMAX®, Roundup Ready 2 Technology and Design®, Roundup Ready 2 Yield®, Roundup Ready®, Roundup Technology®, Roundup®, SmartStax®, VT Double PRO® and VT Triple PRO® are trademarks of Monsanto Technology LLC. LibertyLink® and the Water Droplet Design® is a registered trademark of Bayer. Respect the Refuge and Corn Design® and Respect the Refuge® are registered trademarks of National Corn Growers Association. All other trademarks are the property of their respective owners. Agrisure® and Agrisure Viptera™ are trademarks or registered trademarks of a Syngenta Group Company. Always read and follow label instructions. LibertyLink and the Water Droplet Design are registered trademarks of Bayer. Seed products with the LibertyLink® (LL) trait are resistant to the herbicide glufosinate ammonium, an alternative to glyphosate in corn, and combine high-yielding genetics with the powerful, non-selective, postemergent weed control of Liberty® herbicide for optimum yield and excellent weed control. For additional product information call toll-free 1-866-99-BAYER, visit Bayer website at www.BayerCropScience.us or contact them at Bayer CropScience LP, 2 T.W. Alexander Drive, Research Triangle Park, NC 27709. ALWAYS READ AND FOLLOW PESTICIDE LABEL DIRECTIONS. IT IS A VIOLATION OF FEDERAL AND STATE LAW to use any pesticide product other than in accordance with its labeling. NOT ALL formulations of dicamba or glyphosate are approved for in-crop use with Roundup Ready 2 Xtend® soybeans. ONLY USE FORMULATIONS THAT ARE SPECIFICALLY LABELED FOR SUCH USES AND APPROVED FOR SUCH USE IN THE STATE OF APPLICATION. XTENDIMAX® HERBICIDE WITH VAPORGRIP® TECHNOLOGY AND IN CROP USES MAY NOT BE APPROVED IN ALL STATES. Contact the U.S. EPA and your state pesticide regulatory agency with any questions about the approval status of dicamba herbicide products for in-crop use with Roundup Ready 2 Xtend® soybeans. Roundup Ready 2 Xtend® soybeans contains genes that confer tolerance to glyphosate and dicamba. Glyphosate will kill crops that are not tolerant to glyphosate. Dicamba will kill crops that are not tolerant to dicamba. Contact your Monsanto dealer or refer to Monsanto’s Technology Use Guide for recommended weed control programs. Acceleron®, DroughtGard®, Genuity®, RIB Complete and Design®, RIB Complete®, Roundup Ready 2 Technology and Design®, Roundup Ready 2 Xtend®, Roundup Ready 2 Yield®, Roundup Ready®, Roundup®, SmartStax and Design®, SmartStax®, VaporGrip®, VT Double PRO®, VT Triple PRO®, and XtendiMax® are trademarks of Monsanto Technology LLC. LibertyLink and the Water Droplet Design® is a registered trademark of Bayer. Herculex® is a registered trademark of Dow AgroSciences LLC. Respect the Refuge and Corn Design® and Respect the Refuge® are registered trademarks of National Corn Growers Association. All other trademarks are the property of their respective owners. Planting professionally grown seed benefits your farm over planting bin run grain. The highest quality and highest yielding products are new vs. bin-run. New seed also offers access to the most elite germplasm. New seed yields 1.8 bushels per acre more than bin-run seed. Plus, there is no need to increase seeding rates by over 15% because professionally grown seed is better quality. By planting Roundup Ready 2 Xtend® Soybeans, Roundup Ready 2 Yield® and LibertyLink® varieties from 1st Choice Seeds you are providing funding for innovation, research and the development of new traits and higher performing germplasm. New traits that take as many as 9 years for commercialization cost in excess of $50 million each. 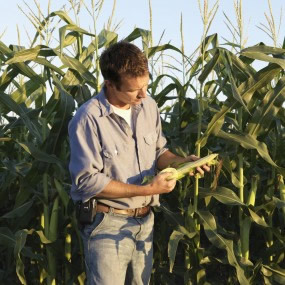 1st Choice Seeds® is committed to your long term and sustainable success. Choose our professionally grown seed to maximize your long term profitability.